Property 235A TOP OF THE WORLD: Top of the World Sleeps 9 in this 1200 sq ft 2 bedroom PLUS LOFT, 2 bathroom Lake Tahoe View unit located in Tahoe Village offering nearby access to lifts at Heavenly Resort's Boulder and Stagecoach lift and lodge.. 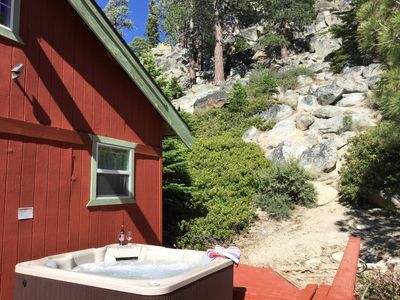 It is just a short walk down the hill to the Tahoe Village pool and spa, open during summertime. 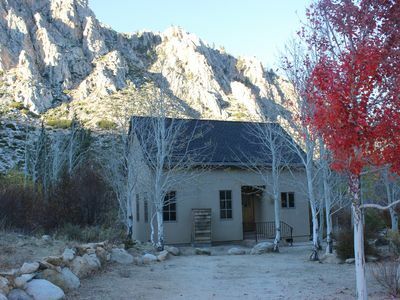 You are truly in the mountains with this vacation getaway. Walk about 5 or 6 minutes to the Fox and Hound Smokehouse grill and bar for food, beer, cocktails and slot machine fun. Designed to make you forget the stresses of life. You are in the middle of the most wonderful Nevada ski area. Just a short ways to the Stagecoach lodge ski lift and the Boulder lodge ski lift. 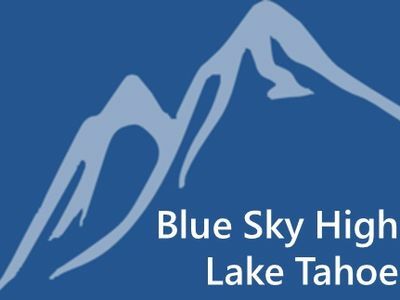 Only about 5 miles down the hill to Lake Tahoes best casinos, dining, watersports and much more. 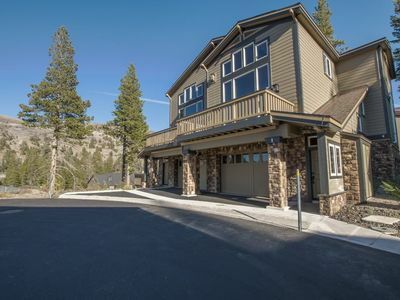 This unit has a great view of Lake Tahoe and nearby mountains. 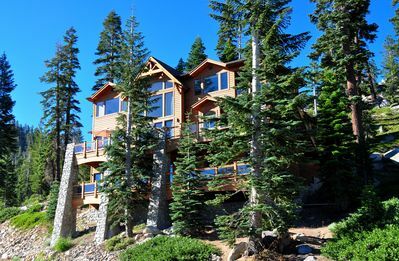 There are a dozen steps down to this unit located at about 7300 ft altitude, near the area where you can park two cars. 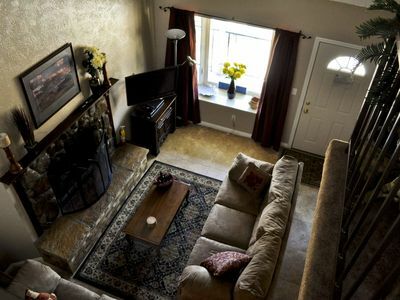 Plan ahead, and forget the stresses of life In the accompanying photos you can see that the kitchen and dining areas are comfortable and well equipped. Washer dryer unit available for your use. 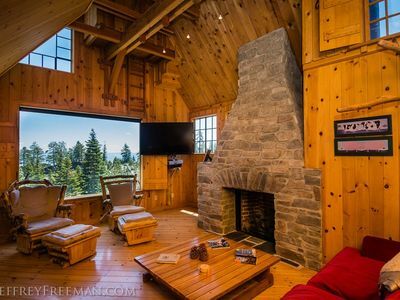 Breath that fresh air and enjoy the lake view. 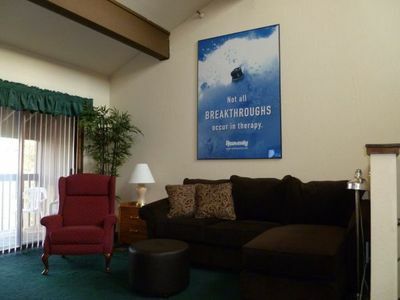 Come and stay you will have much fun. 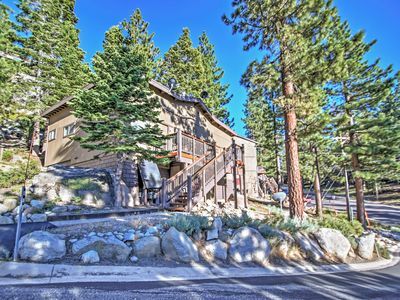 Stateline Condo Near South Lake Tahoe w/Mtn Views! 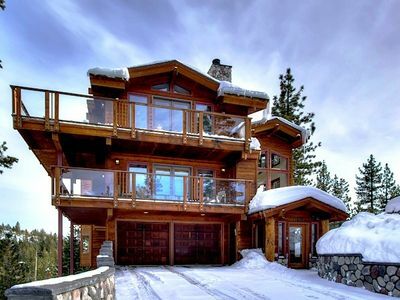 Beautiful Tahoe Village ski condo close to Heavenly! South Lake Tahoe! Charming Cottage at River's Edge! 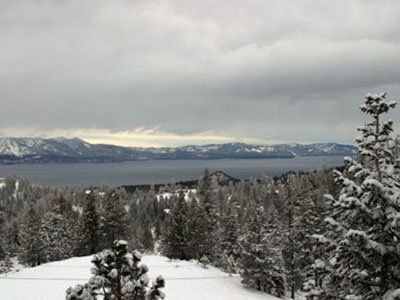 Close to the Heavenly Lifts, Lake, Casinos, Shops and More! !